These superb remnants of our past are obscured by tatty shops in Peckham High Street. 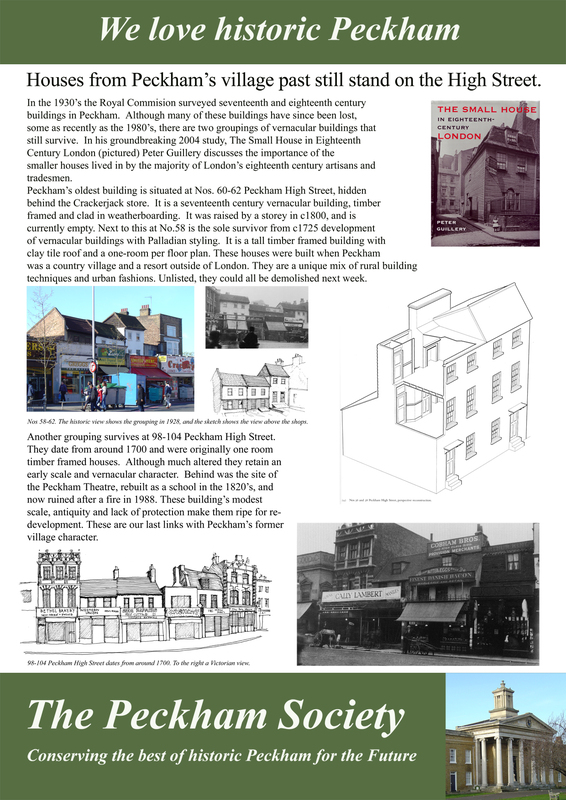 See Peckham Society account http://www.peckhamvision.org/wiki/images/8/82/Peck_Soc_Guillery.jpg of the history of these oldest Peckham buildings from the seventeenth & eighteenth centuries. There is a good view from the Lidl car park.